"Thank you so much I love, love, love my dress and you were amazing." Heritage Brides. The destination for brides in Hertfordshire. 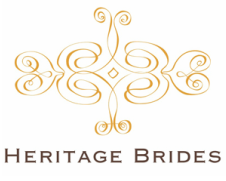 If you are tired of Fleur de Lys and chandeliers and are looking for a bridal experience with a difference, then Heritage Brides could be the place you are looking for. We are nestled in the exclusive location of Hatfield House - yes, the Hatfield House where Elizabeth I grew up. But rather than being a bow to history, Heritage Brides makes a nod to fun, to the magical and to the different. Based upon a vintage woodland theme, the boutique is filled with quirky curiosities - look out for Aggie the purple greyhound - and touching and trying is positively encouraged. Found in the Harness Room of the Stable Yard, Heritage Brides occupies the whole of the first floor of this impressive building which dates back to the 15th century. With beams, brickwork and designer gowns to die for, there really can't be any reason for your bridal adventure to not be a heritage one.